The time has come, it seems, for Prefab. We here at the Eye of the Fish have long been ardent fans of Pre-fabrication of things, in order to build faster, cleverer, betterer, and more out-of-the-weatherer than doing it all on site. After all, when you buy a new car, you don’t get a truck delivering a box of bits to your driveway to assemble, now do you? The automotive industry has long since held a massive lead over the housing industry in that respect. 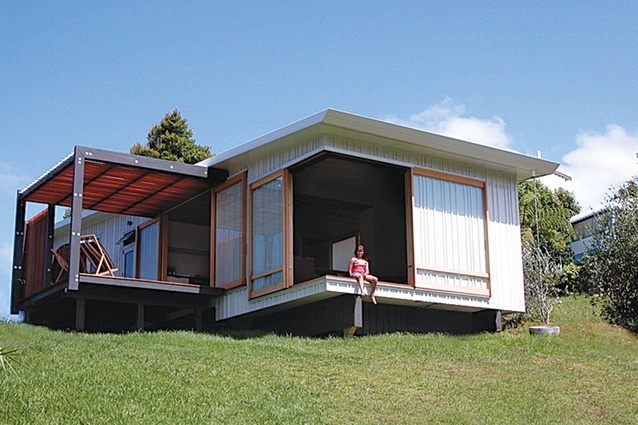 New Zealand has actually had a long history of prefab, with the Treaty House at Waitangi being a prefab kitset home from Aussie, and a glorious experiment of NZ’s first real State houses, in Titahi Bay, were actually made in Austria and shipped over here flat-packed like a giant IKEA box. Then we went backwards for quite some time, getting wedded to the idea of the man alone on a building site, with just his faithful dog for company, an old Hilux ute, and a thermos full of coffee. Yes, it’s fun, it’s kinda romantic, but also: it’s wet. It rains in this country: a lot. It especially rains in Auckland, five times a day on average (count them!). Auckland is our city with our biggest population growth, our largest number of leaky building claims, our worst traffic problems, our most stupid transport solutions (cars! more cars!) and an awful lot of NIMBYs who all seem to think this is someone else’s problem. Well, it’s not. It’s ours, collectively and we need a solution. And one of the answers to that is Prefab. Expect to hear a lot about Prefab in the next few days – the fantastic organization called PrefabNZ is having their annual CoLab in Auckland this week and there should be a lot in the press on this. Keep your eyes and ears and minds open. Prefab’s time has definitely come, and the push is on. Better, faster, cleverer? Go Prefab. So what do we actually mean when we speak of prefab? 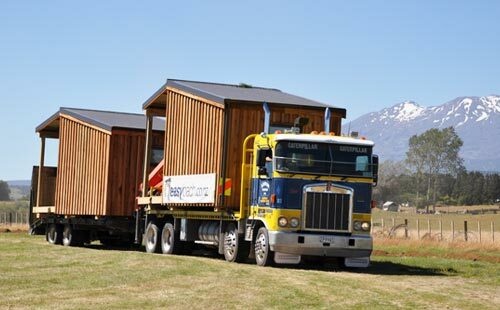 Are we going to see houses delivered to site, ready assembled, on the back of a (large) truck? Ready to plug and play? Well, possibly: volumetric delivery is certainly one of the options. Or are you going to see a slightly smaller truck roll up to site with a bunch of flat finished panels, and a hiab crane pick them up and swing them into place? Well, that’s possible too – panelised homes are definitely on the cards. Or will you be able to build a new bathroom by just ordering one online, and having the whole thing delivered to site, plumbing and tiling already complete? Yep, that too. All these things already exist in Aotearoa as we speak. The last leg of this puzzle doesn’t quite exist yet: the final interface. What if you could just go down to your nearest Bunnings, Placemakers, or Mitre-10 and just buy one and have it delivered to site at a low low price? Trying to build it at home is a pain in the arse, quite frankly, or at least certainly a pain in the lower sacro-iliac joints. You get the timber, and then your saw is old and blunt, so you buy a new saw, maybe one of those cheap electric battery powered circular saws. Then you buy a roll of cheap building wrap, but you don’t need a whole roll, so you get some left over scraps from a mate. Half way through you run out and return to the store to buy that whole roll after all. Now You have some left over to give to a mate. By now you’ve hit your thumb a few times with an old hammer your dad gave to you when you were twenty-one, as he thought everyone should be able to build their own house, even you. We haven’t even got to the cladding yet, but by now you’re on your 14th trip to Bunnings and the staff now know you by name. You know more about nails and screws than you ever thought possible, seem to own a packet of each with about half a dozen of each left over, so you still have to go back to the store to buy some more. Wouldn’t it just be easier to go to the store and buy a complete wall panel? Made in the factory under control conditions? Delivered to site and installed in one day? 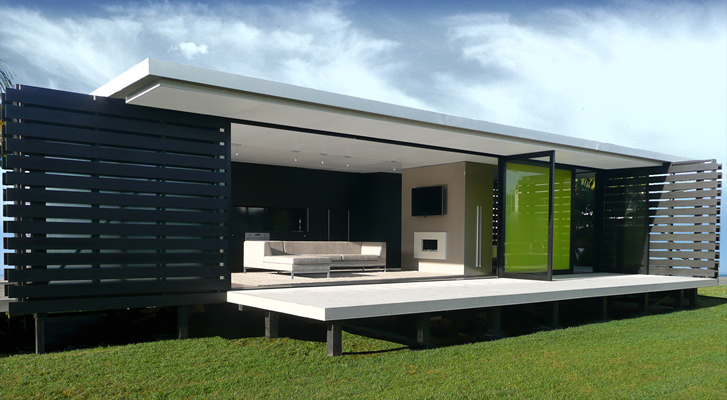 Wouldn’t it make more sense to go Prefab ? https://www.huf-haus.com/uk/ franchise and really demonstrate what prefabs can be. its a bit hard to sign off a “pre cavity” or “pre line” inspection on a sealed panel unit..
Hi GreenWelly – just re your comment with Councils not knowing what to do with them in the building consent system – they’re actually quite good at that really. I’ve dealt with the Wellington City Council – and they were great. Also Ruapehu District Council, Matamata, Hawkes Bay, Napier, etc – all are quite ok with dealing with it. Doesn’t require any constant presence of council inspectors at the prefab factory – just need to have an agreed system of QA set up before hand, that both the manufacturer and council know what to achieve and expect. So – actually, no problems really. Yes Green – and thanks Guy – that’s been my experience too. Some people at the Council can be a little prickly about it beforehand, but once explained who is responsible for what stage, they seem to be OK.
Mark Farmer. This geezer knows what he is talking about. Hi everyone, have you heard of much interest in the PrefabNZ SNUG design competition released on 8th March? I’m looking to join someones team here in Wellington if they are after a designer. I have 5 years experience in the commercial interiors sector (Opus Architecture, HLW in London and Jasmax in Wellington) but am currently between jobs, so thought what better time to do a competition than now! I would be available to just focus on the interior or can help with the entire package, from concept through to building consent documentation. Anyway, if you want to find out more about what I can offer, please email me at rosanna.williams.nz@gmail.com or comment here. Thanks Levi for another great article. I will make a note to go and see Easy Build. It seems common sense that prefabrication and mass production is a really important part of the housing mix. Questions I’ve got for you all – all the prefabs I’ve seen have been stand alone houses. That’s great if you have got – and want – to keep putting more and more land under houses – with all the environmental, transport and infrastructure effects that has. Prefabrication and multiunit development / more intense land use ? How prefabs cope with topography – looks really easy on the flat. Finally when putting a lot of prefabs together – how much bespoke work is likely to be required to protect amenity – especially privacy ? Andy – see 1’30” for how this section of a multi-unit pre-fab was put together. Mighty impressive! The whole complex actually looks really good for being (mostly) prefab TBH. Thanks Seamonkey and Starkive – this is what a site like this should be – a place to intelligently share ideas and information ! Others could learn from Eye of the Fish ! Looking at those articles – Guerdon modular is clearly American, I didn’t see reference to multi unit in the Herald article. I did Google this one from Australia which is modular multi unit https://www.stuff.co.nz/life-style/home-property/76833041/modular-apartment-building-goes-up-in-a-couple-of-days but I don’t know if this has been translated to NZ. Thanks Andy – and everyone – just been a bit distracted this week, or I would have been replying sooner. But yes, this blog is trying to be / can be / should be a good venue for discussion of these things. Housing is incredibly important, and we need to get it right. I’ll try and get a fuller post up about all this over the weekend. They may have English material too, but I could find anything. May be worth asking though. “but I could find anything” should have included a ‘not’ of course. “First-home buyers are being locked out of the prefabricated housing market because most banks won’t lend on a house until it is on site because they can’t take security over it. A security interest is a legal right granted by a debtor to a creditor over the debtor’s property which enables the creditor to have recourse to the property if the debtor defaults in making payment. 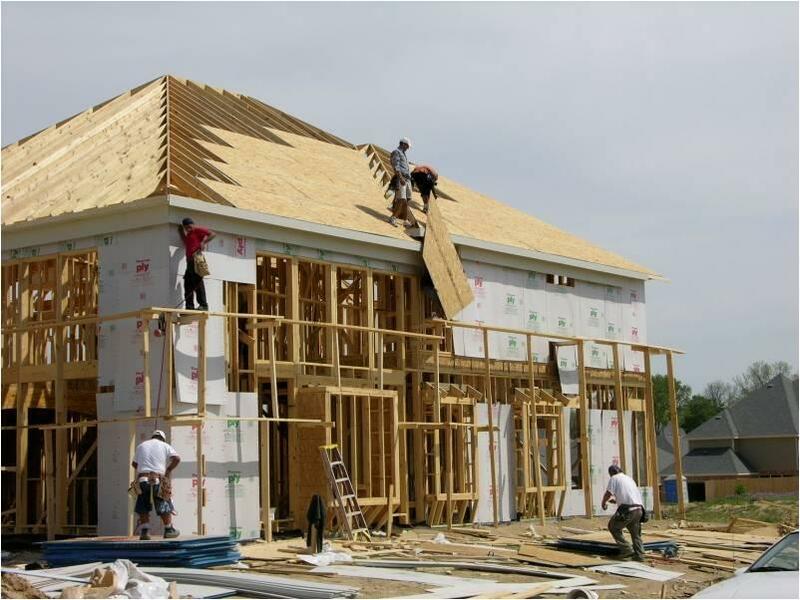 Prefab houses – those built in a factory offsite rather than on the piece of land where they will be located – have been put forward as a solution to the housing crisis because they can be built much faster than a stand-alone home, potentially saving people money.